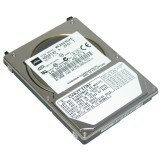 Description: TOSHIBA - 20GB 4200RPM ATA/IDE-100 44-PIN 9.5MM ULTRA SLIMLINE NOTEBOOK HARD DRIVE(MK2023GAS). IN STOCK. SHIP SAME DAY.